/5 Reasons To Switch Your Cardboard Packaging Supplier And Go Green! If your products rely on cardboard packaging, you may be wary about switching your supplier or printing firm. You rely on the company to print and ship your packaging on time so that you never miss a sale. It is possible to find a reliable supplier who can help improve your company’s image through ‘green’ packaging. Here are four ways you can save costs while helping the environment. Switching suppliers can be a leap of faith, after all if it’s ain’t broke, why fix it? A great reason to take the plunge and reach out to firms who employ green printing techniques is that it gives you a free opportunity to get different designs for your products. Established firms offer free creative concepts and valuable logo and brand development. This is the perfect opportunity to become greener by tailoring the size and shape of your packaging and reducing the numbers of colors required. In the long run, fewer printed colors will reduce your environmental impact. You may be thinking ‘My current printer uses recycled card, why switch?’ but you’d be missing the point. Not all recycled paper is equal and some printers, including your present supplier, may be using substrate with as little as 10 percent recovered post-consumer fiber. Switching suppliers to a printing firm that uses card stock from 100 percent post-consumer waste is a great move for your image, reputation and products. Choose brands of certified substrates such as watermarked FSC Certified paper. 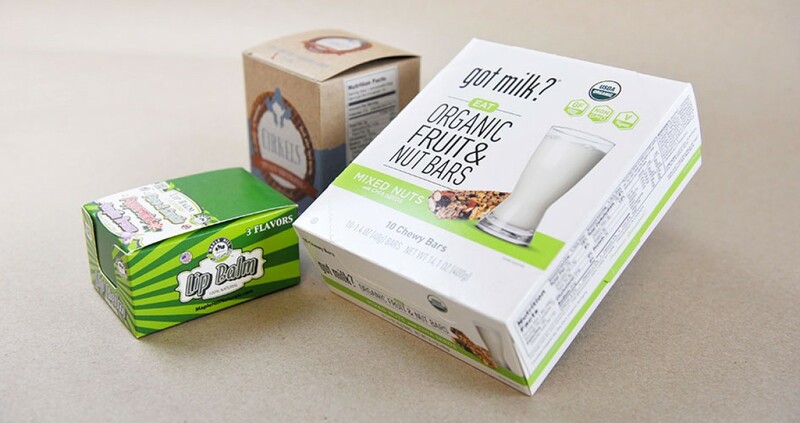 A move to a new printing firm will let you explore different uses of foil on your packaging. You current printer may have dissuaded you from having this due to environmental concerns but the truth is that low-waste ways of replicating foil stamping are available. You may be able to get your packaging to stand out on the shelves while reducing your environmental impact. Check what options eco-printing firms have in the way of foil and transfer metallization board. Once you have addressed the concern of using recycled card and eco-foil stamping, you should turn your attention to the ink to help you find the best alternative printing firm. A primary concern for environmentalists is the type of ink used on the packaging as it can affect human health as well as releasing toxic chemical into the earth when discarded. Only go with printing firms that use soy-based ink that are free from Volatile Organic Chemicals (VOC). Firms that use zero-VOC vegetable-based inks such as cardboard box packaging firm in Toronto are the best way to ensure that your company projects the right image through its packaging. A significant amount of the environmental impact packaging has will come from what is called it’s ‘carbon footprint’. Everything from the source of the wood used to the fuel burnt to transport the finished packaging to your factory or premises comes under this umbrella term. Looking for a local firm with lower shipping charges will result in cost-savings and environmental benefits. Custom Food & Beverage Packaging →← Are You Struggling To Find Environmentally Responsible Packaging?